Home Read E3 2017 – Where Were the Indie Games? E3 2017 – Where Were the Indie Games? For a week leading up to E3, we wrote of multiple events dedicated to indie games at E3. We wrote about indie games that would be on the show floor itself, like Bloodstained and Indivisible. Once the show started, we wrote about MIX LA and all the wonderful indie games that would be present. Yet a strange thing happened – the indie games turned invisible. They were invisible from the start and remained that way as people complained that this year’s show wasn’t very interesting because it lacked new games. This isn’t just a failure on our part here at Cliqist, this is a failure of the gaming press at large. 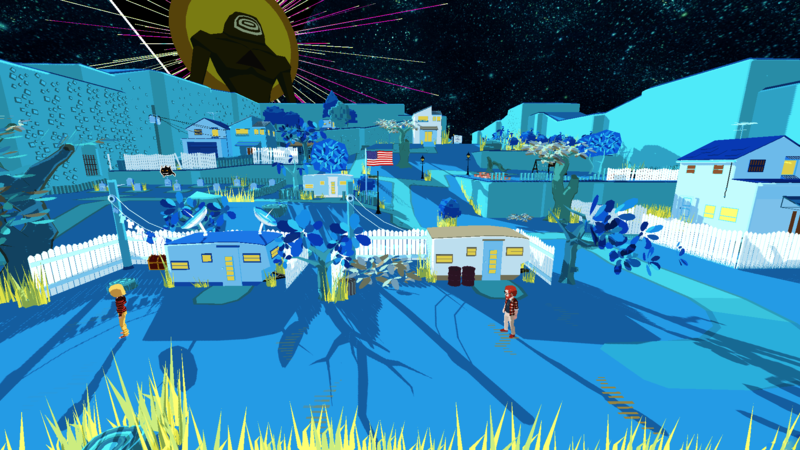 Hundreds of indie games were present at E3 this year, and most of them weren’t picked up. When they were picked up, it was due to extraneous motives, and the headlines showed this. An indie developer who was once and may still be part of a hate group, a game with a troubled Kickstarter, or one in which a voice actors strike potentially ruined the game. Then there were the games that literally weren’t there. There were several high profile indie and crowdfunded games that needed to be there, but just weren’t. That includes the crowdfunded ghosts of Psychonauts 2 and Shenmue 3, interesting walking simulator The Occupation which is supposedly releasing this year, and the once pie of Microsoft’s E3 2016 eye, We Happy Few. Then there’s Devolver Digital trying to hold their own show, but getting shut down either by E3, the City of Los Angeles, or maybe just Steve from down the road, who knows? For indie gaming fans, this year was incredibly disappointing. E3 has been getting more open to indie games in recent years. With the plethora of high profile indie games this year, the multiple organizations bringing them in droves, and the lackluster AAA lineup, I thought this would be the year indie games shown just as bright as their AAA cousins. What really ended up happening, for whatever reason, was that every just looked really boring. Why is that? Why did indie games seemingly flounder this year? There could be any number of reasons – first and foremost because E3 just isn’t the big, important spectacle it once was. As evidenced by Nintendo’s Treehoues event and Sony’s weeklong livestreaming, and even Devolver’s failed plans, more and more companies are starting to do their own thing with regards to E3. What was once a conference for stockholders and game journalists is now an event for the fans. While that’s not really a problem, it does mean that companies have more room to go off script and do new and interesting things we haven’t seen at E3 before, like livestreaming and Sony’s trailer-only conference. It’s why so many companies announced or “leaked” games before the conference, and why Nintendo held their own event months after E3 2016 to announce the Switch. For indie games, this means that while there are more of them now than ever before, it also means no one’s really paying attention either. Studios like Ubisoft, EA, and Sony all want to focus on their own games, not promote someone else’s work anymore. Microsoft was willing to dish out the indie games, but that’s only because without them their conference would have been nothing but Phil Spenser droning on about the Xbox One X’s 4K ability for two hours. Clearly many indie game studios have taken a leaf from the AAA book. Many have to assume that it’s not worth spending the time and money to create a public demo or trailer, travel to E3, and show their game. It’s hard to blame them when you look at how little coverage indie games that did go there get, both with gaming press and attendees in general. The sad fact of the matter is, while E3 continues to grow with consumers and indie games alike, it actually means less now than ever before. You can thank the internet for that. Next articleNew World Interactive Taking a Risk with Insurgency: Sandstorm, But Are They Doing so Lightly?